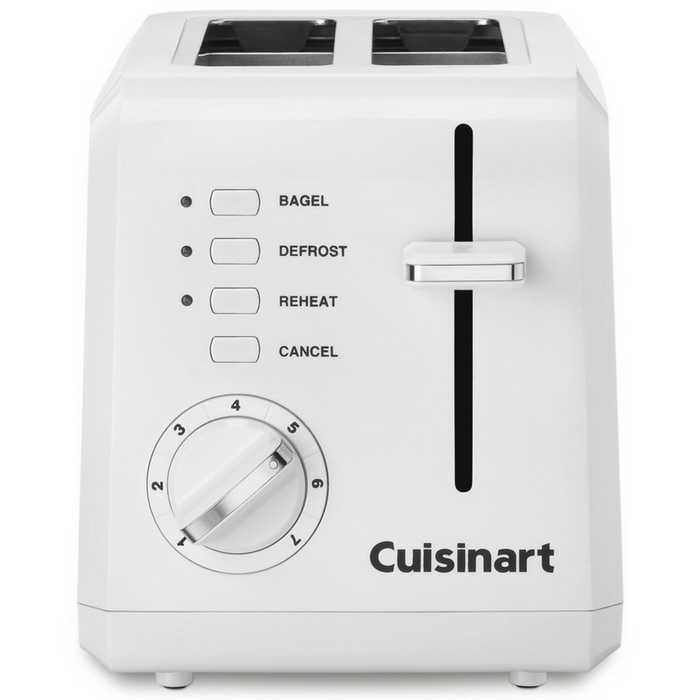 Cuisinart 2-Slice Plastic Toaster Just $23.99! Down From $55! You are here: Home / Great Deals / Amazon Deals / Cuisinart 2-Slice Plastic Toaster Just $23.99! Down From $55! Score this Cuisinart 2-Slice Plastic Toaster at Amazon for just $23.99 down from $55 PLUS FREE shipping with Amazon Prime or for orders $25 and above! The classic toaster gets a modern update with the Compact Plastic Toaster by Cuisinart. Its contemporary styling allows for it to look good at any angle, while in use, or in storage in plain sight on the counter. It blends into the design of your home, yet delivers performance with powerful features such as reheat, bagel and defrost functions. Clean up is easy with the removable crumb tray. It even has a cord wrap underneath the unit to manage unsightly power cords while not in use.